Despite the low temperature, 12 members signed in for a day’s work on the J72 and K1 bits. 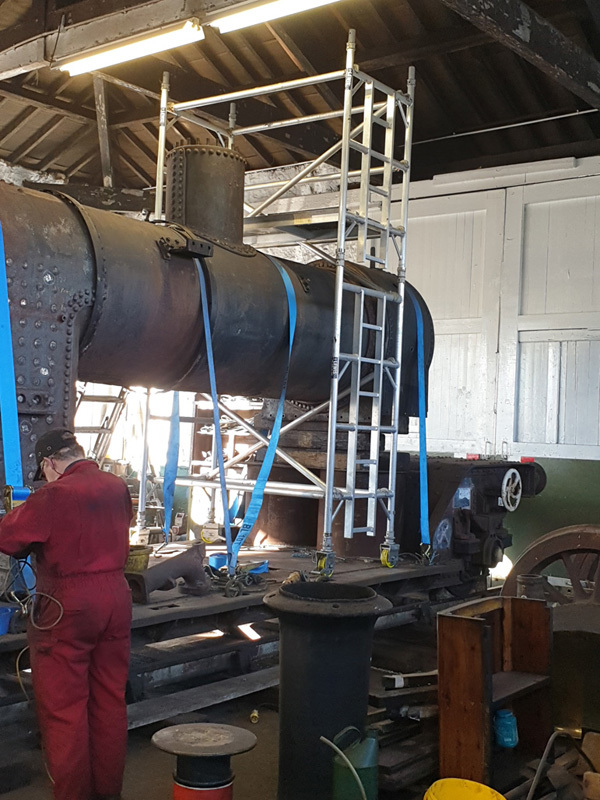 Roy and Nigel assisted by several others erected the tower on the rail wagon. Paul Mason tack welded some pieces of angle iron to the wagon floor in order to secure the wheels. We ought to be in a position to access the inside of the boiler next week. Mid-morning a courier arrived with a parcel for Paul Mason. 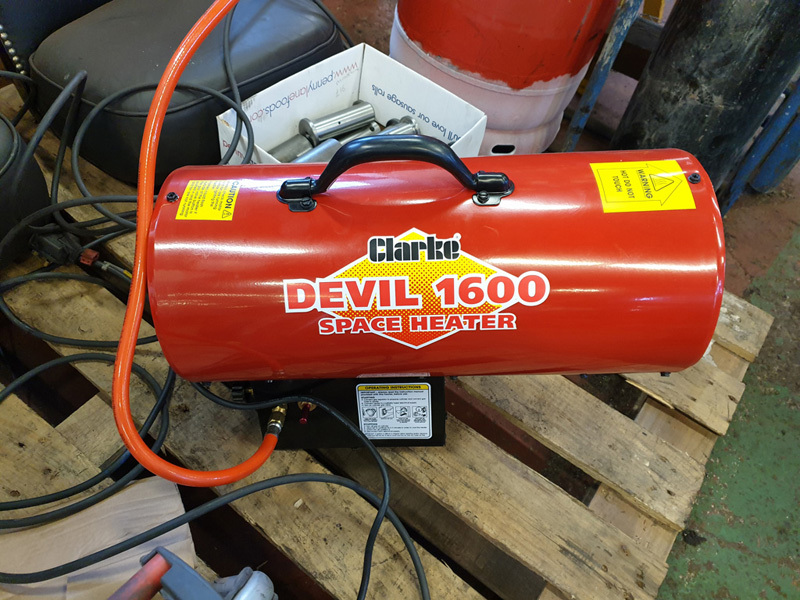 It contained a Clarke propane space heater which he plumbed up and warmed the workshop. The steam heat pipes shut off valves and steam heat bags were serviced by Derek, John and Arthur. The insides front of the frames, rear of the cylinder block, crossheads and slide were cleaned by Allan, Dave, Colin and Hughie. Les Coughtrey was unable to come today, so no progress with NDT this week. Both big end straps were dismantled marked up then reassembled by Steve Gibson. They are still on the floor by the driving wheelset. The residue of the K1 sand pipes and the cylinder covers were cleaned by Paul Mason and painted with primer. We visited M-Machine to get a keyway machined into the new Colchester lathe worm wheel and to order material. 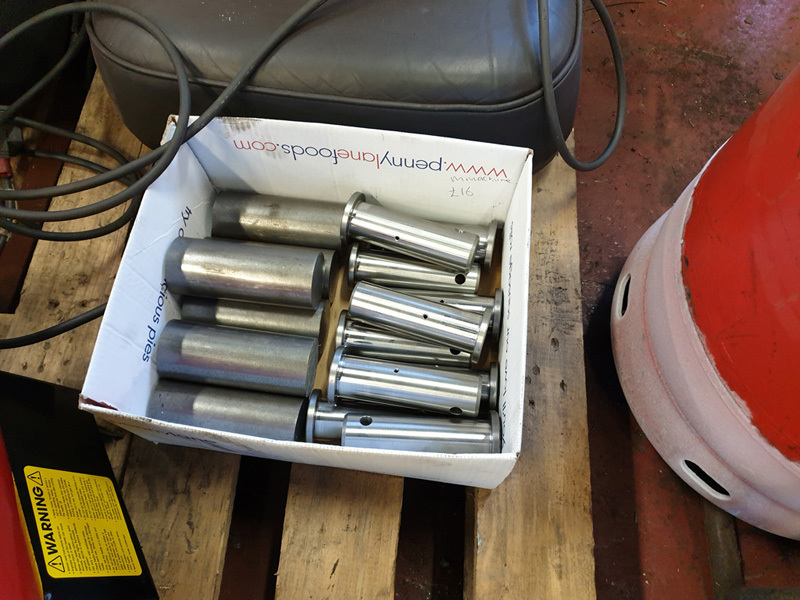 There we were presented with a surprise parcel containing brake table pins and blanks which we assume are for the K1. 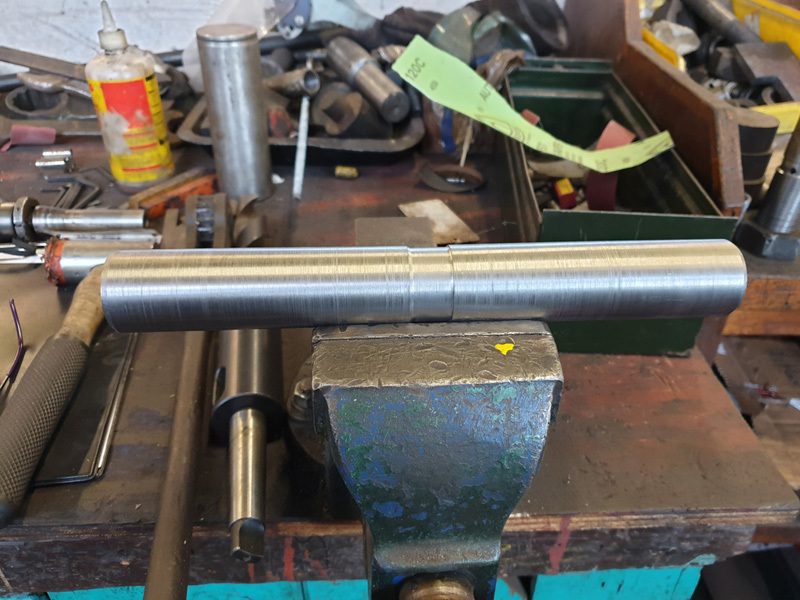 Maurice has finished manufacturing J72 T pivot pins. Thanks Maurice. It was Derek Shorton’s 86th birthday. Derek brought in one of his birthday cakes. The shipyard gannets amongst the work force squabbled over the pieces of white chocolate at lunch time.